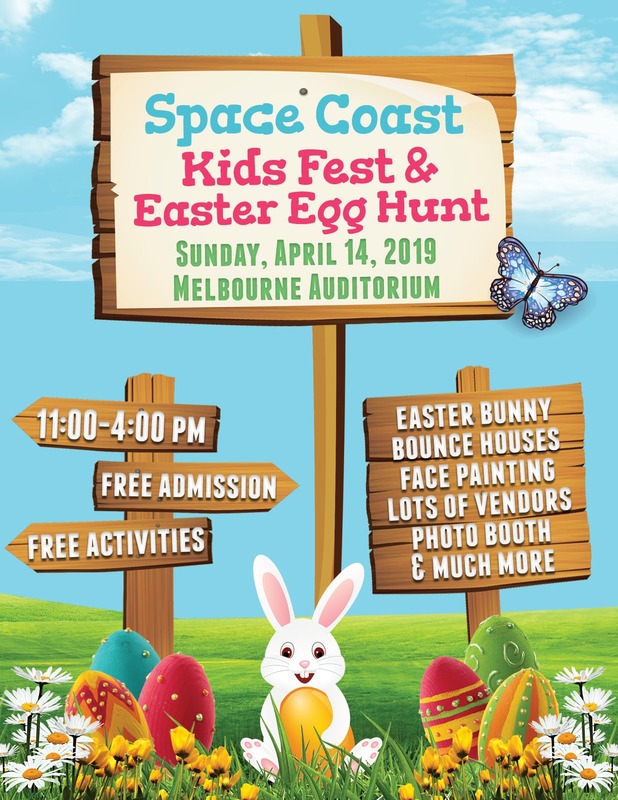 Join us on Sunday, April 14, 2019 from 11:00-4:00 pm for the FREE Space Coast Kids Fest & Easter Egg Hunt held at the Melbourne Auditorium! We had an amazing turnout in 2016 and are so happy to bring this event back to the area! The Kids Fest features over 60 local businesses and resources focusing on education, health & wellness, summer camps, safety, special needs, child care, entertainment, and other important family-related topics. Your one-stop shop to the best products, services, and resources for families! Kids can enjoy free Easter egg hunt, pictures with the Easter Bunny, bounce houses, face painting, photo booth, stage demos, Rydables obstacle course, balloon animals and more. Sponsor and vendor opportunities will open in May 2018. For more information, contact info@sunshinefamilyexpos.com. The Easter Egg Hunts are broken down into 3 age groups: 1-3 years old 1:00 pm, 4-7 years old 1:30 pm, 8-11 years old 2:00 pm. Adults can only accompany children in the 1-3 year old age bracket.